Since the release of the first NMD Boost, one big question is left unanswered… When will Adidas release a black-colored boost? To initially quench the thirst of having a black-colored BOOST, sneakerheads have refuge in coloring their Adidas Boost sneakers to black. Some find cleaning the white-colored Boost as cumbersome. Now with the release of Black colorway of NMD R1, its win win cop for all. After all, color black is good for almost any style and weather. Adidas Originals brings full color-blocking to the NMD model for the first time ever, opening up a world of color possibilities for its groundbreaking BOOST runner silhouette. 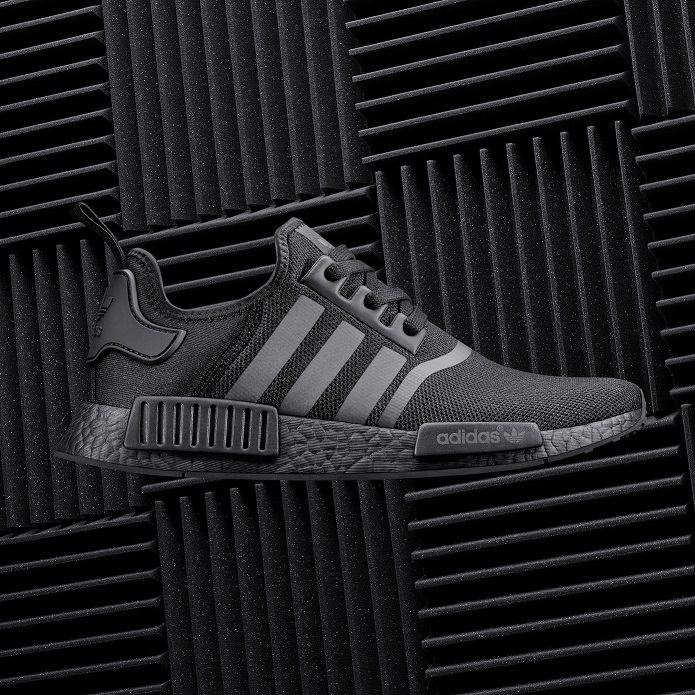 Taking a tonal approach to its first color-blocked release, an iteration of the NMD_R1 feature tonal details in Core Black, from the stretch-mesh construction and welded three-stripes to the heel patch, three-stripes and iconic BOOST tooling, whilst an accompanying NMD_XR1 silhouette assumes a striking two tone effect in shades of black, featuring micro-rib knit and premium material overlays. Tonal EVA plug inserts complete the design, rendering 2016’s most iconic footwear series in its purest form yet. Bookmark Adidasnation to know the latest about NMD R1 Triple Black pricing and availability including the stores that will carry its official release.